Remember back last year when Samsung first introduced its 2012 line up of Smart TVs, they bragged how the TVs will last you for years to come because they are designed with an Evolution Kit that when plugged on, will give you the latest and greatest features? Well, it’s 2013 now and see what the company has to announce for CES 2013 which will be starting on 8 January 2013 – the Evolution Kit that we’ve all been waiting for. According to Samsung, the Evolution Kit will give hardware enhancements such as CPU, memory and GPU up to the level of the latest Smart TV. This means that users can enjoy faster speeds for browsing the Internet and multitask by using apps while watching TV. Software wise, things will also be updated – Samsung’s Smart Interaction features such as voice and motion control will also be enhanced. Once attached, the 2012 Smart Hub will be transformed into the 2013 version; every year, consumers will now be able to enjoy the latest services with Samsung’s Smart TVs. The little box you see in the picture isn’t the real deal, Samsung will show the actual Evolution Kit at CES 2013 and demonstrate how things will actually work so stay tuned as we bring to you the latest updates. Other Samsung products that will be showcased at CES 2013 includes the Samsung Notebook Series 7 Chronos and Samsung Notebook Series 7 Ultra, Premium Touch-Screen Monitors, and new Smart TV Software Development Kit that supports Linux and Mac OS. Press releases available after the break. LAS VEGAS, USA – January 3, 2012– Samsung Electronics Co., Ltd, a global leader in digital media and digital convergence technologies, today debuted two new additions to its lineup of premium monitors, putting professional-grade picture quality within reach for professional and consumer audiences alike. The innovative Series 7 SC770 Touch Monitor comes optimized for Windows 8, while the Series 7 SC750 features a slim, ergonomic design and premium picture quality. These CES Innovation Award-winning monitors will be on display at the International Consumer Electronics Show (CES) in Samsung’s booth, #12004 in Central Hall, from January 8-11, 2013. 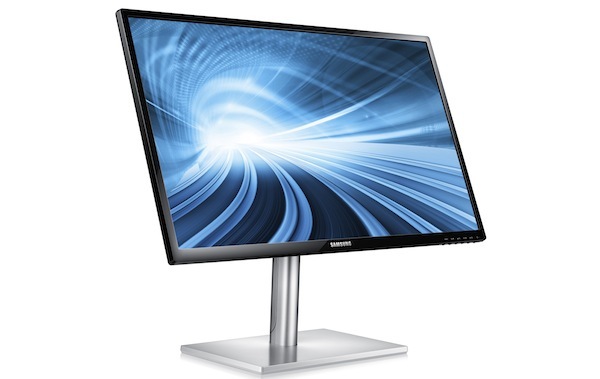 The Series 7 SC770 Touch Monitor is Samsung’s first multi-touch display optimised for Windows 8. Supporting up to 10 points of simultaneous multi-touch, users can drag, rotate or select objects on the monitor using their fingers. The Series 7 SC750 monitor sports a slim, ergonomic design that is capable of a 90-degree pivot for enhanced convenience to users. It is optimised for surfing the web and viewing documents in both landscape and portrait modes. The Series 9 monitor also utilises a PLS (Plane Line Switching) panel and Wide-Quad high-definition resolution (WQHD), delivering four times more detail than traditional HD. Inspired by modern skyscrapers, the product’s elegant, minimalistic design has netted the SB970 monitor some of the industry’s top design honors, including the 2012 IDEA Bronze Award and Japan Good Design Award. LAS VEGAS, USA – January 3, 2013– Samsung Electronics Co., Ltd. announced that it will be releasing the Smart TV SDK (Software Development Kit) 4.0 at the 2013 International Consumer Electronics Show (CES) from January 8-11, 2013. The Smart TV SDK will allow Smart TV software development on Linux and Mac, in addition to Windows O/S. Up till now, Samsung’s Smart TV software development only supported Windows O/S. The new SDK 4.0 allows for the development of Smart TV software on Linux and Mac environments. This is expected to lead to active development of Smart TV software in some areas where non-Windows O/S are widely used. Samsung is the first in the TV industry to provide a local cloud development environment. This environment enables the development of content based on connection between web services by utilising an open API (Application Programming Interface). Moreover, Smart TV SDK 4.0 provides a local cloud development environment that allows developers who use the Mac O/S to team up with other developers who use Windows O/S. As a result, many developers can engage in a team effort, resulting in greater software development efficiency and reduced costs. By expanding and supporting HTML5 in the Smart TV SDK 4.0, a standard programming language, Samsung has laid the foundation for many software developers to easily take part in development of Smart TV applications. With HTML5, Samsung has been able to build an integrated environment that supports the development of convergence applications. 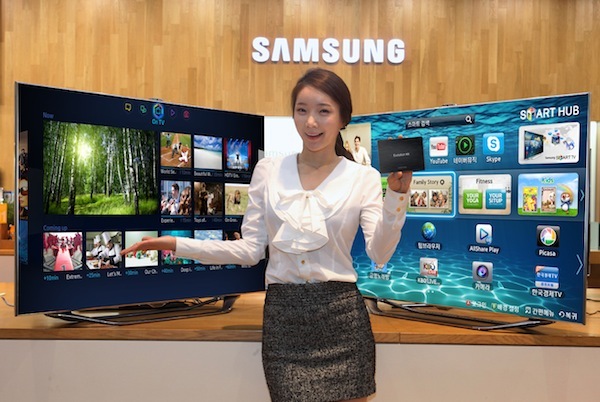 This enables Samsung’s Smart TVs to interact and communicate with external devices. And to promote the active development of Smart TV software through Samsung’s Smart Interaction function, the company strengthened the voice and gesture recognition functions on its Smart TVs. “Samsung have been making continued efforts to build an ecosystem where software developers all across the globe can more easily develop Smart TV software using their creative ideas. The creative ideas of developers and innovative features of Samsung Smart TVs will come together to offer optimal Smart TV experiences to customers.” said Hyogun Lee, senior vice president, Visual Display Business at Samsung Electronics.